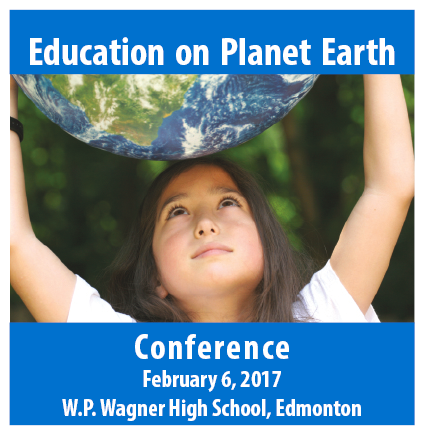 February 6 - Education on Planet Earth - Edmonton - 2 weeks to go! Sessions are filling up fast and registration will close soon - register now so you can pre-register for sessions you want - avoid disappointment. Check out the program now. Open to ALL educators, this one-day conference is in collaboration with EPSB's Career Pathways: Creating Connections - over 500 teachers already registered. Curriculum Development is well underway in 2017 - there are six expert working groups working with Alberta Education to develop curriculum for all grades across six core subject areas. The Expert Working Groups spent two-days hearing from non-profit groups and environmental education was well represented (at least six groups). The Curriculum for a Sustainable Future continues to be a core document for infusing environment, energy and climate change education and ACEE continues to update this document. 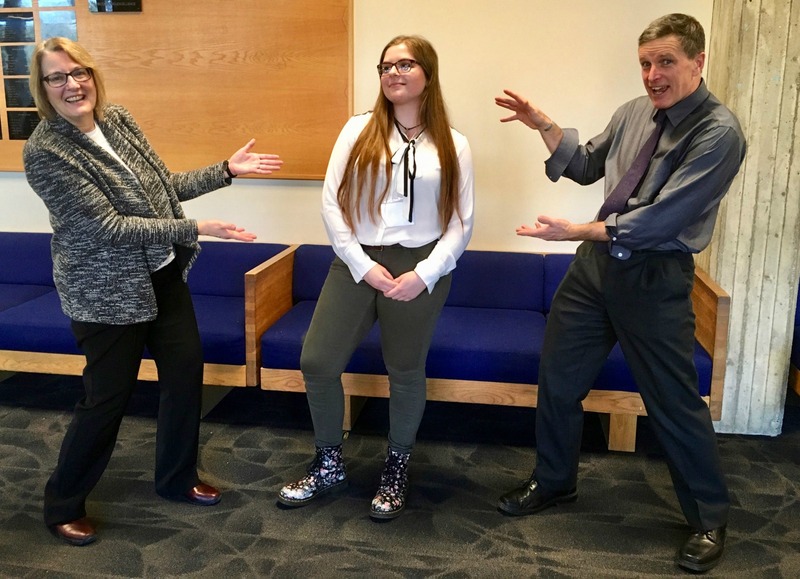 On January 13, 2017 - Quinn McKinney represented the Alberta Climate Leadership Youth Network students' in a presentation to Alberta Education's Curriculum Expert Working Groups. She received many accolades and from what we heard, she wowed the Expert Working Groups. Learn more about the Alberta Climate Leadership Youth Network and their work. Working with local Alberta Parks staff, Grade 10 students at Matthew Halton High School in Pincher Creek undertook a project to design a new interpretive sign for Beauvais Lake Provincial Park with access to their stories, poetry, video and other information. Fort McMurray Public's Green Scene January newsletter - check out the stories and resources. We are pleased to partner with Green Teacher and the Canadian Network for Environmental Education and Communication to offer a series of webinars this year! February 20, 7:30pm - 8:30pm EST: The Power of Positive, Inspiring Solutions webinar will showcase the power of positive, inspiring solutions to the worries that are causing so many young people to lose hope, including the climate crisis and wider ecological crisis. 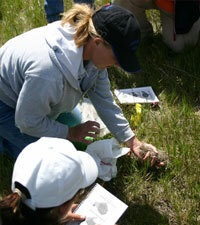 Course - Population Education is offering an on-line course. Discover student-centered learning strategies that use contemporary issues and real-world data to examine the social and environmental impacts of human population growth. Learn more. Award - Alberta Emerald Awards are now accepting submission. An amazing opportunity to shine a light on your favorite environmental education program, project or teacher. Deadline is February 17. Learn more. Contest - Canada Green Building Council is looking for the Greenest School in Canada. Learn more and enter here.